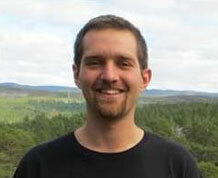 Tom Laver is a bioinformatician specialising in analysis of DNA sequencing data. He received a BSc in Biology from the University of Bath in 2010. He then completed a bioinformatics PhD at the University of Exeter. This project involved the evaluation of factors affecting measurements of mixed microbial communities by next generation sequencing methods, including 16S amplicon and whole genome sequencing. Tom joined the monogenic diabetes group at the University of Exeter Medical School in 2015 and in his current project is using next-generation sequencing analysis to identify novel genetic aetiologies for hyperinsulinism. Tom Laver works on monogenic disorders of insulin secretion with several publications on hyperinsulinism and monogenic diabetes as well as on methological aspects of studying the genetics of Mendelian diseases. He is also an author of several papers discussing issues of metrology in metagenomics. He has worked on multiple projects utilising data from the third generation long read sequencing technologies from Pacific Biosciences and Oxford Nanopore and is an author of a paper judging the initial merits of the long read sequencer, the Oxford Nanopore MinION. His work is currently focused on using analysis of DNA sequencing data to discover novel genes for hyperinsulinism. Laver TW, Weedon MN, Caswell R, Hussain K, Ellard S, Flanagan SE (In Press). Analysis of large-scale sequencing cohorts does not support the role of variants in UCP2 as a cause of hyperinsulinaemic hypoglycaemia. Hum Mutat, 38(10), 1442-1444. Author URL. Full text. Laver TW, Colclough K, Shepherd M, Patel K, Houghton JAL, Dusatkova P, Pruhova S, Morris AD, Palmer CN, McCarthy MI, et al (In Press). The Common p.R114W HNF4A Mutation Causes a Distinct Clinical Subtype of Monogenic Diabetes. Diabetes, 65(10), 3212-3217. The Common p.R114W HNF4A Mutation Causes a Distinct Clinical Subtype of Monogenic Diabetes. HNF4A mutations cause increased birth weight, transient neonatal hypoglycemia, and maturity onset diabetes of the young (MODY). The most frequently reported HNF4A mutation is p.R114W (previously p.R127W), but functional studies have shown inconsistent results; there is a lack of cosegregation in some pedigrees and an unexpectedly high frequency in public variant databases. We confirm that p.R114W is a pathogenic mutation with an odds ratio of 30.4 (95% CI 9.79-125, P = 2 × 10(-21)) for diabetes in our MODY cohort compared with control subjects. p.R114W heterozygotes did not have the increased birth weight of patients with other HNF4A mutations (3,476 g vs. 4,147 g, P = 0.0004), and fewer patients responded to sulfonylurea treatment (48% vs. 73%, P = 0.038). p.R114W has reduced penetrance; only 54% of heterozygotes developed diabetes by age 30 years compared with 71% for other HNF4A mutations. We redefine p.R114W as a pathogenic mutation that causes a distinct clinical subtype of HNF4A MODY with reduced penetrance, reduced sensitivity to sulfonylurea treatment, and no effect on birth weight. This has implications for diabetes treatment, management of pregnancy, and predictive testing of at-risk relatives. The increasing availability of large-scale sequence data is likely to reveal similar examples of rare, low-penetrance MODY mutations. Laver T, Harrison J, O'Neill PA, Moore K, Farbos A, Paszkiewicz K, Studholme DJ (2015). Assessing the performance of the Oxford Nanopore Technologies MinION. Biomolecular Detection and Quantification, 3, 1-8. © 2015. The Oxford Nanopore Technologies (ONT) MinION is a new sequencing technology that potentially offers read lengths of tens of kilobases (kb) limited only by the length of DNA molecules presented to it. The device has a low capital cost, is by far the most portable DNA sequencer available, and can produce data in real-time. It has numerous prospective applications including improving genome sequence assemblies and resolution of repeat-rich regions. Before such a technology is widely adopted, it is important to assess its performance and limitations in respect of throughput and accuracy. In this study we assessed the performance of the MinION by re-sequencing three bacterial genomes, with very different nucleotide compositions ranging from 28.6% to 70.7%; the high G. +. C strain was underrepresented in the sequencing reads. We estimate the error rate of the MinION (after base calling) to be 38.2%. Mean and median read lengths were 2. kb and 1. kb respectively, while the longest single read was 98. kb. The whole length of a 5. kb rRNA operon was covered by a single read. As the first nanopore-based single molecule sequencer available to researchers, the MinION is an exciting prospect; however, the current error rate limits its ability to compete with existing sequencing technologies, though we do show that MinION sequence reads can enhance contiguity of de novo assembly when used in conjunction with Illumina MiSeq data. Flanagan SE, Vairo F, Johnson MB, Caswell R, Laver TW, Lango Allen H, Hussain K, Ellard S (In Press). A CACNA1D mutation in a patient with persistent hyperinsulinaemic hypoglycaemia, heart defects, and severe hypotonia. Pediatr Diabetes, 18(4), 320-323. A CACNA1D mutation in a patient with persistent hyperinsulinaemic hypoglycaemia, heart defects, and severe hypotonia. Congenital hyperinsulinaemic hypoglycaemia (HH) can occur in isolation or it may present as part of a wider syndrome. For approximately 40%-50% of individuals with this condition, sequence analysis of the known HH genes identifies a causative mutation. Identifying the underlying genetic aetiology in the remaining cases is important as a genetic diagnosis will inform on recurrence risk, may guide medical management and will provide valuable insights into β-cell physiology. We sequenced the exome of a child with persistent diazoxide-responsive HH, mild aortic insufficiency, severe hypotonia, and developmental delay as well as the unaffected parents. This analysis identified a de novo mutation, p.G403D, in the proband's CACNA1D gene. CACNA1D encodes the main L-type voltage-gated calcium channel in the pancreatic β-cell, a key component of the insulin secretion pathway. The p.G403D mutation had been reported previously as an activating mutation in an individual with primary hyper-aldosteronism, neuromuscular abnormalities, and transient hypoglycaemia. Sequence analysis of the CACNA1D gene in 60 further cases with HH did not identify a pathogenic mutation. Identification of an activating CACNA1D mutation in a second patient with congenital HH confirms the aetiological role of CACNA1D mutations in this disorder. A genetic diagnosis is important as treatment with a calcium channel blocker may be an option for the medical management of this patient. Patel KA, Kettunen J, Laakso M, Stančáková A, Laver TW, Colclough K, Johnson MB, Abramowicz M, Groop L, Miettinen PJ, et al (In Press). Heterozygous RFX6 protein truncating variants are associated with MODY with reduced penetrance. Nat Commun, 8(1). Heterozygous RFX6 protein truncating variants are associated with MODY with reduced penetrance. Finding new causes of monogenic diabetes helps understand glycaemic regulation in humans. To find novel genetic causes of maturity-onset diabetes of the young (MODY), we sequenced MODY cases with unknown aetiology and compared variant frequencies to large public databases. From 36 European patients, we identify two probands with novel RFX6 heterozygous nonsense variants. RFX6 protein truncating variants are enriched in the MODY discovery cohort compared to the European control population within ExAC (odds ratio = 131, P = 1 × 10-4). We find similar results in non-Finnish European (n = 348, odds ratio = 43, P = 5 × 10-5) and Finnish (n = 80, odds ratio = 22, P = 1 × 10-6) replication cohorts. RFX6 heterozygotes have reduced penetrance of diabetes compared to common HNF1A and HNF4A-MODY mutations (27, 70 and 55% at 25 years of age, respectively). The hyperglycaemia results from beta-cell dysfunction and is associated with lower fasting and stimulated gastric inhibitory polypeptide (GIP) levels. Our study demonstrates that heterozygous RFX6 protein truncating variants are associated with MODY with reduced penetrance.Maturity-onset diabetes of the young (MODY) is the most common subtype of familial diabetes. Here, Patel et al. use targeted DNA sequencing of MODY patients and large-scale publically available data to show that RFX6 heterozygous protein truncating variants cause reduced penetrance MODY. Locke JM, Saint-Martin C, Laver TW, Patel KA, Wood AR, Sharp SA, Ellard S, Bellanné-Chantelot C, Hattersley AT, Harries LW, et al (In Press). The Common HNF1A Variant I27L is a Modifier of Age at Diabetes Diagnosis in Individuals with HNF1A-MODY. Diabetes, 67(9), 1903-1907. The Common HNF1A Variant I27L is a Modifier of Age at Diabetes Diagnosis in Individuals with HNF1A-MODY. There is wide variation in the age at diagnosis of diabetes in individuals with maturity-onset diabetes of the young (MODY) due to a mutation in the HNF1A gene. We hypothesized that common variants at the HNF1A locus (rs1169288 [I27L], rs1800574 [A98V]), which are associated with type 2 diabetes susceptibility, may modify age at diabetes diagnosis in individuals with HNF1A-MODY. Meta-analysis of two independent cohorts, comprising 781 individuals with HNF1A-MODY, found no significant associations between genotype and age at diagnosis. However after stratifying according to type of mutation (protein-truncating variant [PTV] or missense), we found each 27L allele to be associated with a 1.6-year decrease (95% CI -2.6, -0.7) in age at diagnosis, specifically in the subset (n = 444) of individuals with a PTV. The effect size was similar and significant across the two independent cohorts of individuals with HNF1A-MODY. We report a robust genetic modifier of HNF1A-MODY age at diagnosis that further illustrates the strong effect of genetic variation within HNF1A upon diabetes phenotype. Wright CF, West B, Tuke M, Jones SE, Patel K, Laver TW, Beaumont RN, Tyrrell J, Wood AR, Frayling TM, et al (2019). Assessing the Pathogenicity, Penetrance, and Expressivity of Putative Disease-Causing Variants in a Population Setting. American Journal of Human Genetics, 104(2), 275-286. © 2019 the Authors More than 100,000 genetic variants are classified as disease causing in public databases. However, the true penetrance of many of these rare alleles is uncertain and might be over-estimated by clinical ascertainment. Here, we use data from 379,768 UK Biobank (UKB) participants of European ancestry to assess the pathogenicity and penetrance of putatively clinically important rare variants. Although rare variants are harder to genotype accurately than common variants, we were able to classify as high quality 1,244 of 4,585 (27%) putatively clinically relevant rare (MAF < 1%) variants genotyped on the UKB microarray. We defined as “clinically relevant” variants that were classified as either pathogenic or likely pathogenic in ClinVar or are in genes known to cause two specific monogenic diseases: maturity-onset diabetes of the young (MODY) and severe developmental disorders (DDs). We assessed the penetrance and pathogenicity of these high-quality variants by testing their association with 401 clinically relevant traits. 27 of the variants were associated with a UKB trait, and we were able to refine the penetrance estimate for some of the variants. For example, the HNF4A c.340C>T (p.Arg114Trp) (GenBank: NM_175914.4) variant associated with diabetes is T (p.Arg799Trp) variant that causes Xeroderma pigmentosum were more susceptible to sunburn. Finally, we refute the previous disease association of RNF135 in developmental disorders. In conclusion, this study shows that very large population-based studies will help refine our understanding of the pathogenicity of rare genetic variants. Laver TW, Patel KA, Colclough K, Curran J, Dale J, Davis N, Savage DB, Flanagan SE, Ellard S, Hattersley AT, et al (2018). PLIN1 Haploinsufficiency is Not Associated with Lipodystrophy. J Clin Endocrinol Metab, 103(9), 3225-3230. PLIN1 Haploinsufficiency is Not Associated with Lipodystrophy. Context: Monogenic partial lipodystrophy is a genetically heterogeneous disease where only variants with specific genetic mechanisms are causative. Three heterozygous protein extending frameshift variants in PLIN1 have been reported to cause a phenotype of partial lipodystrophy and insulin resistance. Objective: We investigated if null variants in PLIN1 cause lipodystrophy. Methods: As part of a targeted sequencing panel test, we sequenced PLIN1 in 2208 individuals. We also investigated the frequency of PLIN1 variants in the gnomAD database, and the type 2 diabetes knowledge portal. Results: We identified 6/2208 (1 in 368) individuals with a PLIN1 null variant. None of these individuals had clinical or biochemical evidence of overt lipodystrophy. Additionally, 14/17,000 (1 in 1214) individuals with PLIN1 null variants in the type 2 diabetes knowledge portal showed no association with biomarkers of lipodystrophy. PLIN1 null variants occur too frequently in gnomAD (126/138,632; 1 in 1100) to be a cause of rare overt monogenic partial lipodystrophy. Conclusions: Our study suggests that heterozygous variants that are predicted to result in PLIN1 haploinsufficiency are not a cause of familial partial lipodystrophy and should not be reported as disease-causing variants by diagnostic genetic testing laboratories. This finding is in keeping with other known monogenic causes of lipodystrophy, such as PPARG and LMNA, where only variants with specific genetic mechanisms cause lipodystrophy. Pitfalls of haplotype phasing from amplicon-based long-read sequencing. The long-read sequencers from Pacific Bioscience (PacBio) and Oxford Nanopore Technologies (ONT) offer the opportunity to phase mutations multiple kilobases apart directly from sequencing reads. In this study, we used long-range PCR with ONT and PacBio sequencing to phase two variants 9 kb apart in the RET gene. We also re-analysed data from a recent paper which had apparently successfully used ONT to phase clinically important haplotypes at the CYP2D6 and HLA loci. From these analyses, we demonstrate PCR-chimera formation during PCR amplification and reference alignment bias are pitfalls that need to be considered when attempting to phase variants using amplicon-based long-read sequencing technologies. These methodological pitfalls need to be avoided if the opportunities provided by long-read sequencers are to be fully exploited. O'Sullivan DM, Laver T, Temisak S, Redshaw N, Harris KA, Foy CA, Studholme DJ, Huggett JF (2014). Assessing the accuracy of quantitative molecular microbial profiling. Int J Mol Sci, 15(11), 21476-21491. Assessing the accuracy of quantitative molecular microbial profiling. The application of high-throughput sequencing in profiling microbial communities is providing an unprecedented ability to investigate microbiomes. Such studies typically apply one of two methods: amplicon sequencing using PCR to target a conserved orthologous sequence (typically the 16S ribosomal RNA gene) or whole (meta)genome sequencing (WGS). Both methods have been used to catalog the microbial taxa present in a sample and quantify their respective abundances. However, a comparison of the inherent precision or bias of the different sequencing approaches has not been performed. We previously developed a metagenomic control material (MCM) to investigate error when performing different sequencing strategies. Amplicon sequencing using four different primer strategies and two 16S rRNA regions was examined (Roche 454 Junior) and compared to WGS (Illumina HiSeq). All sequencing methods generally performed comparably and in good agreement with organism specific digital PCR (dPCR); WGS notably demonstrated very high precision. Where discrepancies between relative abundances occurred they tended to differ by less than twofold. Our findings suggest that when alternative sequencing approaches are used for microbial molecular profiling they can perform with good reproducibility, but care should be taken when comparing small differences between distinct methods. This work provides a foundation for future work comparing relative differences between samples and the impact of extraction methods. We also highlight the value of control materials when conducting microbial profiling studies to benchmark methods and set appropriate thresholds. Huggett JF, Laver T, Tamisak S, Nixon G, O'Sullivan DM, Elaswarapu R, Studholme DJ, Foy CA (2013). Considerations for the development and application of control materials to improve metagenomic microbial community profiling. Accreditation and Quality Assurance, 18(2), 77-83. Advances in DNA sequencing technology provide the possibility to analyse and characterize the genetic material from microbial populations (the microbiome) as a whole. Such comprehensive analysis of a microbiome using these 'metagenomic' approaches offers the potential to understand industrial, clinical and environmental microbiology to a level of detail that is unfeasible using conventional molecular or culture-based methods. However, the complexity offered by metagenomic analysis is also the weakness of this method and poses considerable challenges during analytical standardisation. In this manuscript, we discuss options for developing control materials for metagenomic analysis and describe our preliminary work investigating how such materials can be used to assist metagenomic measurements. The control materials we have developed demonstrate that, when performing 16S rDNA sequencing, different library preparation methods (incorporating adapters before and after the PCR) and small primer mismatches can alter the reported metagenomic profile. These findings illustrate that metagenomic analysis can be heavily biased by the choice of method and underpin the need for control materials that can provide a useful tool in informing choice of protocol for accurate analysis. © 2012 the Author(s). Huggett JF, Studholme DJ, Laver T, Foy CA (2013). Progress in metagenomics requires a balanced appraisal of the available technologies. European Journal of Clinical Microbiology and Infectious Diseases, 32(8), 1097-1098. Huggett JF, Studholme DJ, Laver T, Foy CA (2013). Progress in metagenomics requires a balanced appraisal of the available technologies. Eur J Clin Microbiol Infect Dis, 32(8), 1097-1098. Author URL. Patel KA, Laver T, Johnson M, Sanders T, Shepherd M, Ellard S, Flanagan S, Hattersley AT, Weedon MN (2016). RFX6 is a new MODY gene. Author URL. Tom Laver supervises final year research projects in BSc Medical Sciences and MSc Genomics. He also offers summer projects. He teaches on the BSc medical genetics module and MSc bioinformatics modules. He has previously taught on the BMBS Medicine course.